We need to love ourselves and be thankful and appreciative of the person who God has made us. The worldly type of loving yourself is where you are stuck up, prideful and arrogant, whereas this type of loving yourself is based upon humility and thankfulness. The two could not be more different! Self-rejection; not accepting yourself, always beating up on yourself, not happy with the person that God made you, etc. Self-hatred; hating the person who God made in you, considering yourself ugly, dumb, clumsy, etc. Being hard on oneself; always beating up on yourself mentally, physically, emotionally, etc. Always seeing yourself as worthless, or pushing to reach irrational goals just to feel good about yourself. Low self-esteem; always seeing yourself as a failure, or less than those around you. Ashamed of yourself; refusing to forgive yourself from something in your past. Feeling ugly or stupid; seeing yourself as ugly, worthless, stupid, no good for nothing, etc. The list can go on and on, but if this sounds like you, then keep reading! Many today consider themselves dumb, ugly, stupid, clumsy, worthless, etc. Did you know that you were created in God’s own image, and whenever you consider yourself dumb, ugly, etc., you’re actually considering something that God made as being ugly, dumb, etc.? Did God create your physical body? If so, would you dare make a statement that God made an ugly body? Did God create your mind and intellect? If so, would you dare make a statement that God created a dumb, stupid, or worthless brain? If God created you in His image, then are you saying that His image is dumb, stupid, worthless or ugly? David was not boasting in who he was, but rather being thankful and rejoicing over the beautiful creation that God made in him! How many who consider themselves ugly are looking at things the way David did? Probably not too many! King David appreciated and thanked God for what God gave him. Instead of saying, “I’m ugly”, David was saying, “Wow! Look at what God gave me! It’s marvelous! !” It’s vital that we develop this same attitude about what God’s given each of us as well. You need to forgive yourself! When we associate ourselves with our past failures, after God’s Word has assured us that they have been removed from us… then do you realize that you aren’t really believing what God’s Word is saying? It’s time that we make that choice to forgive ourselves, and then align our thinking with what God’s Word has to say. If God says it’s removed from us, then we need to take Him for His Word, and believe what it has to say! 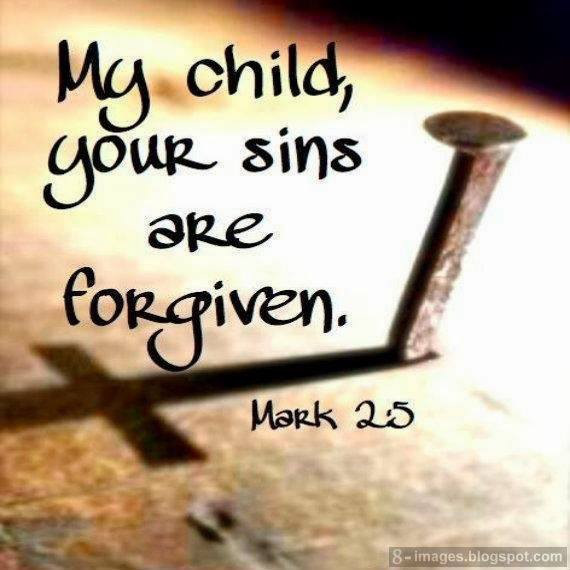 Jesus did not come to accuse or condemn us. Christ restored our souls and made us righteous before God so that our guilt is removed. If our Savior forgave the woman caught in an adulterous relationship, just imagine how ready He is to take your shame away too (John 8:11). Love this! I’m slowly learning to love myself. God is teaching me daily that He loves me for me. Blessings.